One of my earliest contributions to the Chinese language learning community was to share my flashcard decks, first with my fellow classmates and then with the rest of the world. I have almost a dozen decks shared in Anki now that have been downloaded thousands of times. However, I think downloading other people’s decks is a double-edged sword. I don’t create my own flashcards only for altruistic reasons. Do you know why? Actually, if it weren’t for the fact that if I didn’t share, someone else would, I feel that offering ready-made decks might be doing a disfavour to ambitious language learners. Sure, if you’re leaning towards the more casual style of learning, being able to download a deck in five seconds rather than enter a whole textbook manually is awesome, but it comes with a cost. Here’s why I create my own flashcards. There’s a lot of crap out there. Many decks you can find online are really bad, with incorrect definitions, pronunciation or erroneous characters. They might miss important vocabulary or be automatically generated rather than manually created (this is actually true for my earlier decks as well, because I created them retroactively). If you enter everything manually on your own, you know what you get. This also avoids the problem that arises when you’re wrong on an exam because the definition in your deck and in your textbook are different. You get to know your deck. Perhaps your deck doesn’t need to be you best friend, but getting to know it is quite important. If you’ve built your deck on your own, you care a lot more about it and it’s also much more rewarding to work with it. You know where the definitions come from, you know what abbreviations and notes on the flashcards actually mean. 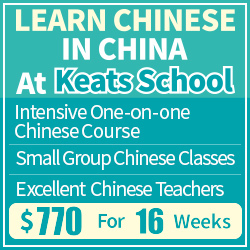 Your Chinese will improve during the process. Entering the words from a chapter in your book manually takes quite a lot of time, but it’s not wasted time like some people seem to think. This is a very good opportunity to learn! Check the characters in dictionaries, look up the radicals and learn the words! Remember that it’s spaced repetition, not spaced learning. Obviously, you can gain some of these benefits simply by using decks from people you trust or that has been recommended to you, but the last item in the list above is really important. If you download lists of new words, you need to study them before you can review! If it’s your textbook, then fine, but downloading huge lists from the internet and hacking away at them isn’t a good idea. You need to process what you learn actively. I don’t know what flashcard program you use (I suggest Anki or Skritter), but there are some things that are universal and applies to all programs. First, even though this might sound counter-intuitive, I suggest that you disregard the auto-completion or dictionary look-up function if there is one. You can look at the answers, but it’s much better to write your own, even if it’s a verbatim copy from a textbook or dictionary. This is extra important when you copy from a Chinese-Chinese dictionary. It’s so easy to skim through the definition, copy-paste it and be done with it. If you type it manually, you have to process the sentence much more actively, which aids learning tremendously. It turns menial copy-pasting into a learning opportunity. Second, spread it out. Regard flashcard creation as learning rather than a mechanical task you perform using your computer. You probably wouldn’t sit down and try to learn all those words in one go, so since we have now merged learning and flashcard creation, we should apply the same principles. Add the words in small batches of perhaps 3-5 words. Add example sentences (read and type them), add definitions, add other useful information you find in your textbook or online. Likewise, if you need to change or update your flashcards, this shouldn’t be viewed as menial task that just needs getting over with, it’s part of your studying. This is where you adjust the cards to your current needs, often adding more information where you’ve found it lacking, but also removing cards you don’t need. I spend quite a lot of time adding information about synonyms, new example sentences and details about character composition. Again, make this a learning opportunity and not just a chore! This article should have explained why I think it’s weird to think that I’m wasting my time creating flashcards. It’s not as if I have to grow the trees, cut them down, turn them into paper and write the information on them. That would indeed be a waste of time if my goal was to learn Chinese. In this day and age, though, the actual creation of a flashcard takes a second. Filling in the information takes much more, but as I have explained before, that’s not necessarily a bad thing. Very good point. I make my own flashcards using Twinbridge and Word. 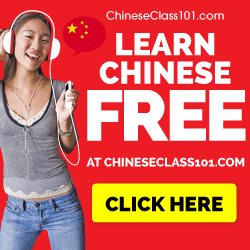 (You can do the tone marks on the pinyin using the international character set.) I have commercial decks too, but somehow they never have exactly what I want. And the extra effort really does make a difference in retention. What is your shared deck called? Can I find it on Anki’s shared deck list? 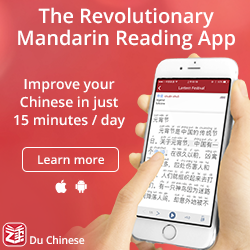 How do you deal with multiple definitions per Chinese character? I have been wondering whether it is good to randomize or creat multiple cards for each definition. It also seems that some definitions can probably be ignored for regular use. Any hints on what to disregard? When I was doing this I would accept any of the meanings as correct. I think if you want to specialize it’s much better to put it into context and try to remember the meaning from context (e.g. a sentence or a picture or something). I agree that creating your own flashcards is the best method. I don’t use a program on my phone or computer, I prefer good ole fashioned paper flashcards and a trusty pencil. 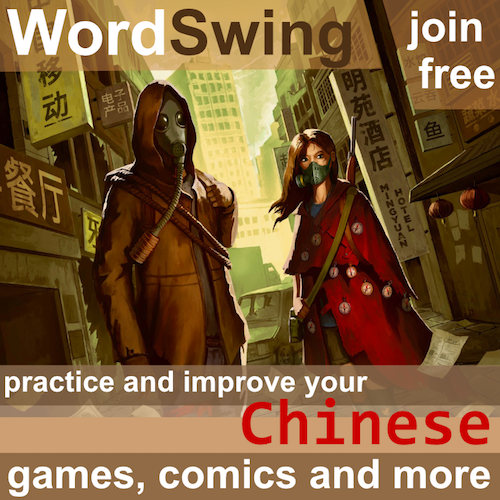 This way I get the added benefit of writing the character, which helps to learn the reading/writing aspects of Chinese much more quickly. I am new here and very happy to have found such useful and insightful posts and comments! I make paper flashcards using an Excel Spreadsheet. The spreadsheet is set up to print ten flashcards for each sheet of card stock. I can print different combinations of English, characters, or Pinyin. The cards may have English on one side and Pinyin and Characters on the other when I am teaching myself the meaning of new words. I will look at the English definition and then turn the card over and see both the Pinyin and the actual character. Later, I switch to characters on one side and Pinyin on the other side to learn to recognize the character. I use the cards during my 40 minute walk to and from my job. Creating the cards is laborious and helps provide flexibility to the techniques available to me. I also use a flashcard app on my phone. IS there any way you could share your spreadsheet. I am happy to give the spreadsheet to anyone who wants it. Email me at gaozhuzi1@gmail.com and I will send it to you. I agree, but I also have to add that one can also waste time on it. I’ve been using Anki previously, but since I’ve changed to Pleco I find creating and managing my flashcards way more convenient (I also like the reviewing system more). There’s already a standard translation available, but I can really easily edit it if I want to. Additionally, there’s always audio by default available. The biggest plus is the easiness of doing it on the way with my phone: I don’t have to sit down to my computer. Though Anki served me well, I find with Pleco I spend more time actually studying and less managing flashcards.